It takes time to see good things happen. It is far from an outdated phrase when it comes to optimizing mobile apps for better discoverability and business conversion. As far as practices for app store optimization is concerned and developers and marketers equally should know the value of waiting or waiting for good things. While most data collected last year on app store intelligence and practices to make app marketing more productive indicate the rising horizon of opportunities, the relentlessness and impatience of CEOs and app designers continue. Everyone these days have their eyes set on procuring inbound traffic but this often accompanies losing sight of the bigger picture concerning conversion, retention and engagement. Again this makes us recall the same phrase, wowing people may look lucrative and easy but creating value will take time. 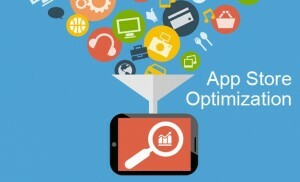 Let u discuss below some of the critical mistakes in app store optimization practices that you need to beware with. Obviously, nobody knows the exact attributes weighed by Apple and Google in indexing mobile apps in the respective app stores. Though there is an array of aspects like conversion rates, customer retention, engagement and others can impact search rankings to a considerable degree. But how one comes before the other in the ranking is kept private and we have no clue on that. So, all that you can do is to follow the ground rules rather than just trying to grab quick numbers and attention. There is an array of shortcuts that many app marketers follow in spite of knowing how these harm websites in the long run. Targeting app list through practices like using Google’s web search data, stuffing app title with keyword, purchasing rating and reviews and similar shortcuts and backdoor techniques are likely to offer negative impact on the app. There is no proven shortcut on targeting lists but contradicting to this notion of quick rise, most such practices actually make detrimental effect on the app store ranking of the apps. Apple with stricter guidelines on app submissions and app listings has already discouraged such practices to a great extent. While no credible sure-shot shortcut is there to help any app get ranking, stricter developer guidelines and refined approach in search ranking is further making it tough for apps to achieve ranks solely on these practices. What is the role of ASO? It is basically to present your app to connect the audience who require it most. With quick numbers your app can altogether fail to get to the device of your audience. ASO refers to a competitive approach to get in the list with the bigger picture of grabbing users, retaining and converting business from them in mind. Basically it is part of the app marketing effort to generate higher ROI. Shortcuts cannot help you do that. Stuffing app title with keywords is a cheap shortcut that even in the short run can actually prove detrimental to your app. Many app developers exhaust the word count limit given to them for the app title with keywords. For instance, Apple offers a limit of 255 characters for app title and there are many app publishers who take this opportunity to stuff the app title with keywords exhausting the limit of character count. An app title with quite a few search friendly keywords will obviously generate huge number of search queries but will it garner a good amount of conversion with this? After getting through a nonsense clutter of keywords, the customer is very likely to view this as a promotional trick and avoid the app altogether. This is what happens with most apps that try to get to the list by long title with stuffed keywords. Both Apple and Google is now serious about making the search results more relevant by rejecting such tricky titles. Besides that, app store users now are wiser about such tricks and they often take this as a warning sign concerning the quality of the app. There are too many apps that in spite of having a keyword stuffed app title fail to make a selling point mentioning any of the unique app feature or benefit. App in more than one ways is likely to play the role of an offline business and like any business you need to convince customers about the uniqueness and why one should purchase it. If you have few lines left to describe your product to the prospective customer you need to mention the most saleable aspects and features to boost the chances of conversion. It is more about covering most relevant search terms instead of targeting every user landing on app store. Users search based on purpose and feature and unless you can convince them on this regard, you are likely to get avoided. You always need to let your users know how the app solves specific problems for them rather than describing the app in vague terms. Juned Ghanchi is the chief marketing officer at Indian App Developers Company; he has extensive experience in community management, lead generation and content strategy. He regularly writes about the innovative mobile app technology which improves our lives and our plate. This entry was posted in Development, Technology and tagged app store, apple by ryan. Bookmark the permalink.